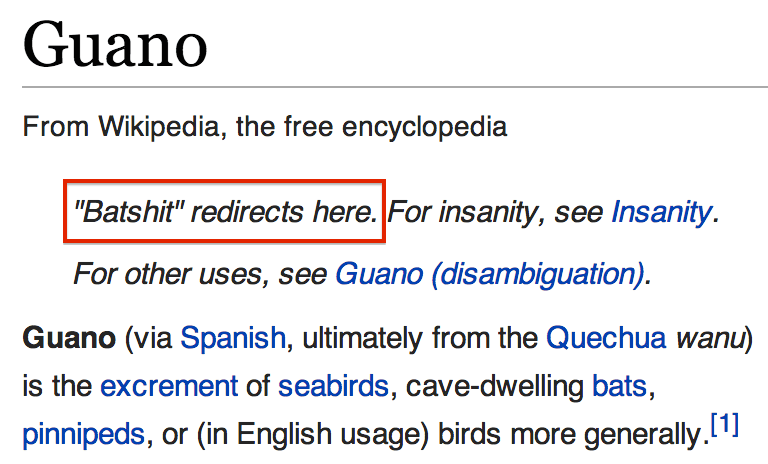 For Day 2 of my Volokh Conspiracy guest-bloggery, I wrote about the Guano Islands Act and some other old laws that are still on the books in various jurisdictions, often for no good reason. If you are still 1,100 words short of your reading quota for today, or think it sounds interesting, I would encourage you to head over there and read it. Nicely done, whoever did that. 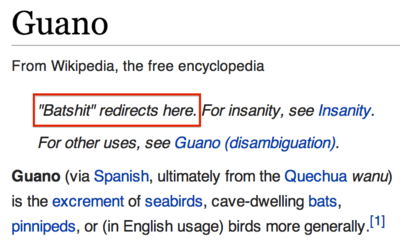 I'm surprised it has lasted this long—I once tried to add some comedy to Wikipedia from my office and it was gone before I could get back to the conference room to take credit.